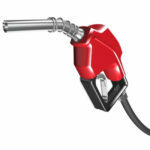 For several years Americans have felt the pinch at the pump. What happens when spike the price of gas? Everything else goes up including groceries, travel, and more. Enter 2015, and as we ring in the new year, there’s good news! Gas prices have plummeted to a new low we haven’t seen since the turn of the century. How are lower gas prices helping your household? In addition to keeping our wallets fatter and our fridges fuller, Americans are finding discounts on car insurance at the top internet auto insurance quote destination: AutoCareInsurance.com. Finding new or cheaper but quality insurance has never been easier with our fast and free search tool.